In 2016, we reached a tipping point–a moment where the global and local implications of cybersecurity became undeniable. Despite the seriousness of the topic, the term “cybersecurity” still exasperates many people. They feel terrorized and overwhelmed. The majority of business people have very little understanding of cybersecurity, how to manage it, and what’s really at risk. 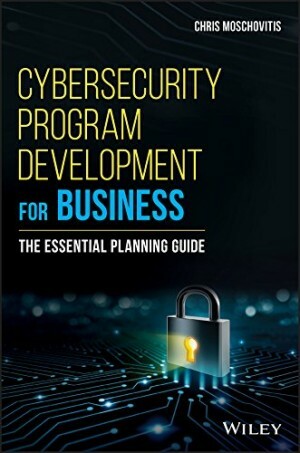 This essential guide, with its dozens of examples and case studies, breaks down every element of the development and management of a cybersecurity program for the executive. From understanding the need, to core risk management principles, to threats, tools, roles and responsibilities, this book walks the reader through each step of developing and implementing a cybersecurity program. Read cover-to-cover, it’s a thorough overview, but it can also function as a useful reference book as individual questions and difficulties arise.